For the purposes of this document, the terms “you” and “your” (upper or lowercase) shall refer to the individual, company, or corporation utilizing the services of this site. The uppercase or lowercase “we” is meant to indicate the site itself, especially as it applies to the webmaster and Great White North Games. eCheckCasinos.ca operates independently of any online gaming organization and is intended to be an affiliate website. This means we may be financially compensated for qualifying activities such as search engine referrals and player activity. No actual gaming services are provided on this site, but we do offer information ranging from basic blackjack strategy to recommendations for specific third-party gambling entities. While all information provided on this site is meant to be as timely and accurate as possible, we cannot be held responsible (legally or otherwise) for any discrepancies that may occur. We are also not responsible for any negative experiences the reader may have while viewing or otherwise interacting with third-party sites linked to eCheckCasinos.ca. A good faith effort has been made to assure the accuracy and security of these online destinations, but the reader agrees to explore them at their own peril. The word “gambling” denotes a degree of uncertainty, and the reader agrees that any gaming which may occur online carries the possibility of financial loss for the player. While we may suggest sites which we believe to be fair and entertaining, it is always the reader’s decision whether or not to participate in such potentially risky financial endeavors. Therefore, by utilizing our services you agree to absolve eCheckCasinos.ca, as well as its owners and employees, of any responsibility for potential financial losses (up to and including legal liability). The following terms and conditions apply to your use of the services provided by eCheckCasinos.ca, and it is the reader’s responsibility to understand and implement each section detailed in this document. By continuing to use this website, you are consenting to the terms contained within. 1. Cost of Services – eCheckCasinos.ca offers its services free of charge to any and all interested parties on the Internet. While registration is encouraged, it is not required. Furthermore, all content can be viewed by both registered and anonymous readers alike. You will never have to deal with membership upgrades or members-only sections while visiting this site. 3. Policy Updates – We reserve the right to change our terms and conditions at any time, with the new policies taking effect immediately. If and when this occurs, a good faith effort will be made to notify readers. By continuing to use the site, you agree to abide by any changes which might be made (even if you are unaware of their implementation). (a) The right for users to display material for individual use. They may also display the information to other individuals as long as they are in the same physical location and the method of display does not involve transmission via the Internet or other networking service. This sharing of information must be for non-commercial purposes, and the amount of shared date should be kept to a reasonable minimum. (b) The right to quote or use excerpts from our material in accordance with applicable copyright laws. (c) The right to make a reasonable amount of copies of our material and distribute them to interested parties for informational purposes. The origin of the material, however, must always be attributed to eCheckCasinos.ca. (a) Exploiting the logos, service marks, and trademarks of Great White North Games without the written consent of the owner of GWNG. (b) Infringing on the trademarks, copyrights, and other intellectual property rights of this site. 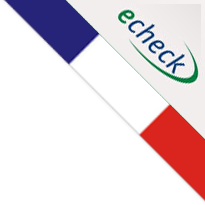 Visiting eCheckCasinos grants you the rights previously detailed in these terms and conditions, but this does not include any proprietary interests. (c) Obscuring or removing the copyright notice on this site. (d) Except for the rights discussed under section four, a user may not download, email, fax, transmit, copy, or display pages from this website. (e) Offer material on this site for resale or redistribution. This concludes the basic terms and conditions for eCheckCasinos.ca. The goal of this site is to educate readers on the game of blackjack and suggest appropriate places to play, but we accept no legal responsibility for any losses you may incur in the process. In addition, we fully support the right of readers to share this information with their friends and associates in a reasonable fashion, but widespread downloading and sharing is strictly prohibited.